All Vividwireless services have been phased-out and are no longer available. But don’t worry, you can still connect wirelessly to the Optus 4G network on a great value Optus Wireless Broadband plan. If you are planning to move, you can still check below to see if your existing Home Wireless Broadband or Vividwireless service will be available in your new location. 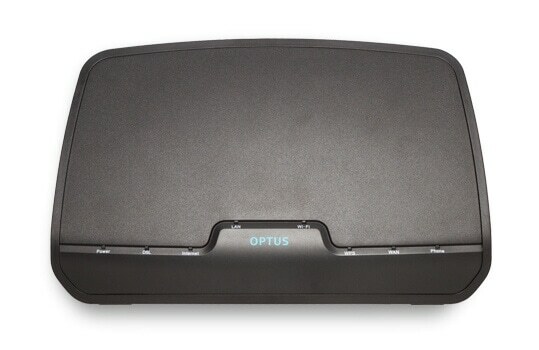 In 2012, Optus purchased the Vividwireless business and in recent years, this service has been delivered through the Optus 4G Plus network. We have now decided to close the Vividwireless business and Vividwireless will cease to provide services from April 2019. 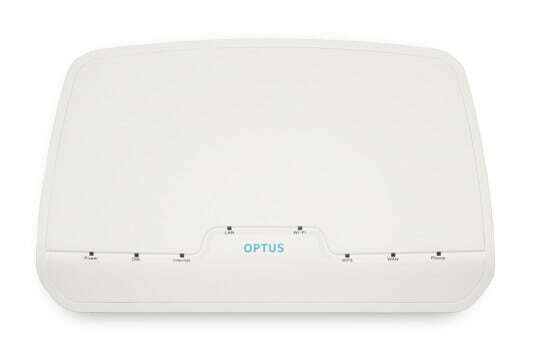 From April 2019 all wireless home internet will continue to be provided on the Optus 4G Plus network by Optus under the Optus brand. • Hold an active monthly Optus mobile or SIM only plan with a value of $35 per month or more (for in-market plans). Existing Optus postpaid customers with a plan value of $30/mth and above are also eligible. • Hold an Optus Ultra, Optus Ultra Entertainment or Optus Ultra Office broadband bundle plan or, sign up/recontract to an Optus 200GB Home Wireless Broadband plan from 15th of August 2018. • Ensure both your mobile and broadband plans have the same billing name and billing address or customer ID (if applicable). • $10 discount is not available with other discount offers and will be removed if the mobile service is cancelled. 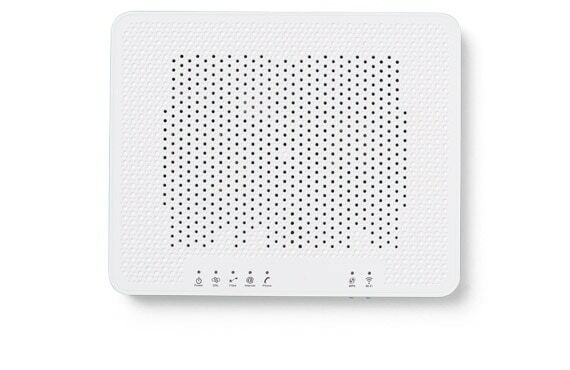 A WiFi modem is included for new customers. Experience the freedom and convenience of shared wireless broadband within your home. Easy set up - plug-and-play modem. Push 'n' Connect - easy push-button WiFi connection for your devices. WiFi @2.4GHz so you can connect all your tablets and computers easily over WiFi. Parental Controls - control the kids' internet access times and website content to all wired and wireless connections. This modem is NBN-ready for when the NBN reaches your home. Easy set up – plug-and-play modem – simple Push ‘n’ Connect WiFi connections. WiFi @ 2.4GHz so you can connect all your tablets and computers easily over WiFi. 4 x Gigabit Ethernet LAN ports – for ultra-fast wired connectivity – ideal for HD gaming and video. Wirelessly access and share USB hard drive media via modem’s DLNA® enabled USB ports. Netgear Genie® enabled. Install the Genie® app to your tablet or mobile phone for easy management of your home network from the comfort of your couch. 2 x FXS voice ports for your phone handset. 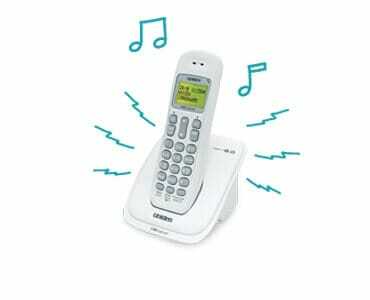 Easy to read and easy to use, the Uniden DECT SSE25 is great for those wanting a phone that's designed for the visually and hearing impaired. 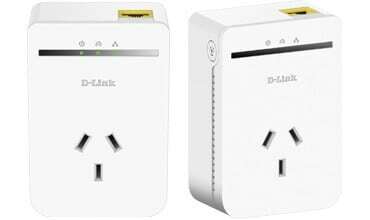 It uses cutting-edge DECT 6.0 technology engineered for Australian and New Zealand conditions. 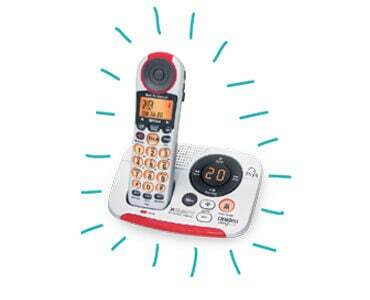 The Uniden DECT 1015 is a cutting-edge cordless phone system with a streamlined, contemporary look. It's ideally suited to high-density living environments thanks to an enhanced talking range, while the eco-friendly mode is good for the environment – and your power bills. Uniden’s DECT 3035+1 comes with an extra handset plus an integrated digital answering machine, so you won’t miss those important phone calls again. 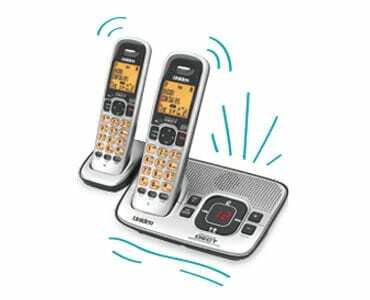 These contemporary phones have digital duplex speakerphones on the handsets, making hands-free communication easy. This device is a really neat way of getting the internet connected from one place to another in your home. Simple plug one adaptor into the wall and connect to your modem, then plug the other into a second socket in your home, and your internet or Yes TV by Fetch signal will get carried through your electrical wiring. It’s inexpensive, relatively easy to set up and more reliable than WiFi. Each powerline adaptor has a set of two plugs. Set up your Optus WiFi modem. Connect your computer and existing phone sockets. Make sure that your NBN broadband and phone services are working. Connect up to two WiFi devices and show you how it's done. For existing Optus customers, transfer services such as Optus TV with Fetch. If you need any additional work done you can ask our friendly technician for a quote while he's there. Speed packs increase the speed available to your broadband, so you can upload and download faster, or have more people surfing at once. The speeds above are only an indication of what you may experience on your service. The speed you will experience depends on a number of factors including your access type, demand on the network and local conditions such as internet traffic, your line condition, your hardware and software, the data source or destination and your location which can interfere with reception and speed. As fast as it gets. This speed pack provides plenty of power for several people online. Use multiple devices doing data-hungry things like downloading movies and music, playing video games online, or streaming live video and TV. Speed: The speeds above are only an indication of what you may experience on your service. The speed you will experience depends on a number of factors including your access type, demand on the network and local conditions such as internet traffic, your line condition, your hardware and software, the data source or destination and your location which can interfere with reception and speed. Learn more about things that affect your broadband speed. WHAT IS THE NEW DEVELOPMENTS CHARGE? The New Developments Charge is a one-off fee mandated by the Australian Government which nbn ™ applies in order to get the NBN up-and-running at new premises in new development areas. It is only charged once - the first time the NBN is connected. The New Developments Charge only applies to NBN serviceable locations within new developments. The New Developments Charge is $300, which includes GST. It will appear as an upfront cost on your Optus NBN bill. When you transfer to Optus, you might be charged a cancellation fee or other charges from your current service provider. Your service provider will continue providing your service until the transfer is complete, although you may experience a small outage during transfer. Once your transfer’s complete, you should contact your provider to make sure your account has been closed. If you are transferring from a bundled telephone and broadband service, to a broadband only service, your telephone service will be cancelled and the number may be quarantined. Any faults on the service with your current provider will be closed as part of the transfer process. If you need any customer support or help with faults at any time before your phone service is transferred to Optus you’ll need to contact your current phone company. 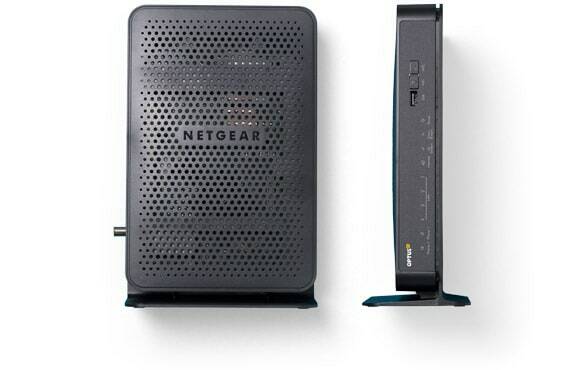 New Customers get this premium, high-performance modem included with their broadband plan. Experience the freedom and convenience of wireless broadband within your home.